The internet is a wonderful place that keeps you connected and helps you find things easier. However, sometimes not everyone are searching for cute cat photos – the internet can be one of the nastiest places ever. Yesterday, pictures of the child of a local comedian, Harith Iskander, were found around various websites including those containing pornographic images. It isn’t easy to understand how one of Malaysia’s favourite comedians must be feeling right now, but we’re sure all parents can emphatise. Sadly, the internet is also home to some seriously creepy people, and we can do our part to make sure incidents like this does not happen. 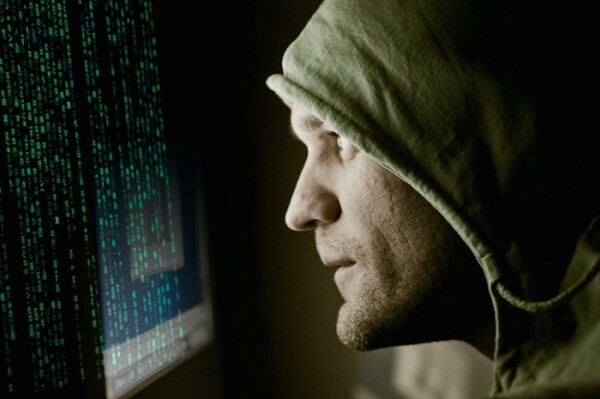 So how do you check if you or your children’s pictures have been used on the internet? Harith Iskander discovered these pictures thanks to Google Alerts. 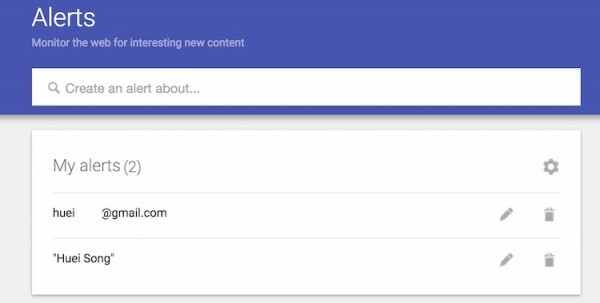 Google Alerts is a tool that lets you monitor the web for interesting new content that you’re interested in like companies, automobiles, sports, music and such, but you can also use it to monitor yourself on the web – your name, as well as email address, or any other keywords – like your children’s names. It’s a free service, just visit www.google.com/alerts and turn on alerts for yourself and create new ones. Google Alerts will send you email notifications anytime they find new results on the topics you’ve created. If you’ve ever posted pictures of your children online, especially on all the various social networks around – Facebook, Instagram, Twitter, etc., it’s good to perform a Google Image search on those pictures to see if someone has stolen them and used them in other websites. Just visit images.google.com, and tap on the camera button on the search box. You can key in a URL or upload a photo to Google Image search, and let the engine perform its magic. 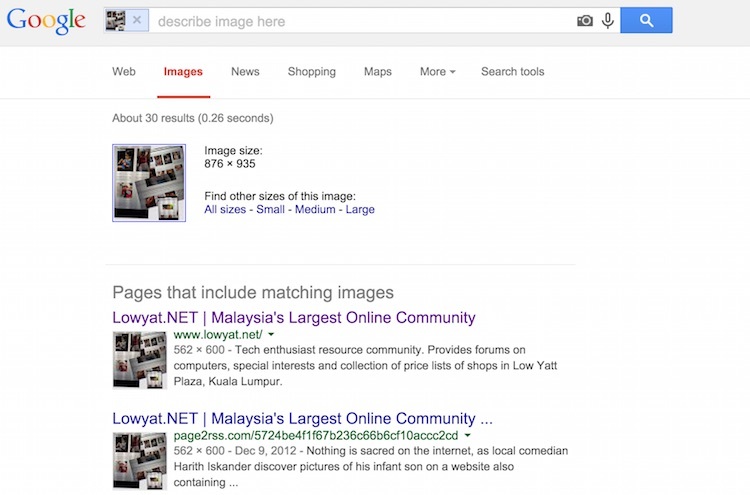 Google will show you results of all the places the image was used, along with visually similar pictures. Alternatively, if the picture is posted online, simply right click on the image and click on “Search Google for this image”. This is only available for Chrome and Firefox. If you are using a phone or tablet, you can search using Chrome app (Android and iOS), or the Google app (Android only). Simply perform a search on what you want to find, tap the image to open it up and in the bottom right corner, touch the Menu icon and “Search by image”. Do note that Google has a disclaimer for its Reverse Image Search claiming that “When you search things using an image, any images or URLs that you upload will be stored by Google. Google only uses these images and URLs to make our products and services better.”, so proceed with caution. There are also other image search services online like ImageRaider and TinEye. The basic features are free, and more advanced features will be charged. Do be careful too because you will need to upload your pictures into these websites. The old adage is never more true: prevention is better than cure. So be careful when you share pictures of your children on the internet. Sure, as a parent, there are times when you are very proud of your children and wish to share their achievements, but be careful who you share these pictures with. Make your social network accounts private, or if you have a public account, just create another private one just to share things with close friends and family members. In addition to that, it may seem like you are popular if you have thousands of friends on your Facebook account, but try not to add random strangers on your Facebook, and do some spring cleaning on your friends list every now and then. If you do not wish to delete any friends, you can set restrictions to individuals so they can’t see your private posts. Finally, review your older posts on Facebook and set restrictions. 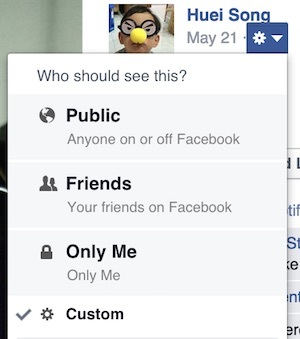 Things like your profile pictures are usually public, so click on each one of them and change them to friends only. View your profile as public (meaning that’s how someone who’s not your friend on Facebook will see your account), and make sure that all important information and pictures are well hidden. There’s a lot to do, but it’s definitely better to be safe than sorry.